These 100% Abratex material sleeves are made to meet ANSI/ISEA level 2 cut resistance standards for maximum cut protection. 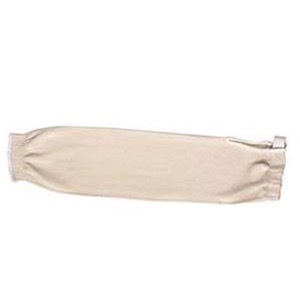 Unlike many sleeves on the market, these sleeves are 22″ inches long to provide full arm protection extending well beyond the elbow. Elastic thumb and hand holes ensure that the sleeves will not ride up your arm and the elastic upper prevents the sleeves from rolling down exposing your arms. These are ideal for various work applications such as mechanics, welders, metal operators, landscapers, motorcyclists, farmers or anywhere where a serious level of arm protection or light heat application is needed.